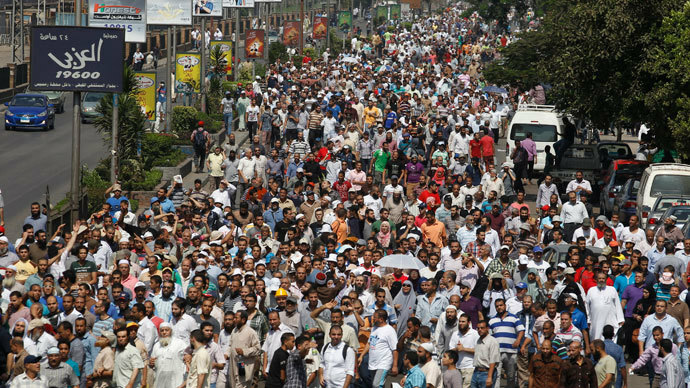 Dozens of Muslim Brotherhood supporters died on Sunday as police escorting prisoners in trucks exchanged fire with Islamist attackers near Cairo. Conflicting reports stated that some or all of those killed suffocated from tear gas. Thirty-six Islamist prisoners were killed in Egypt while being transferred to Abu Zaabal prison in northern Cairo, Egypt’s Interior Ministry said. 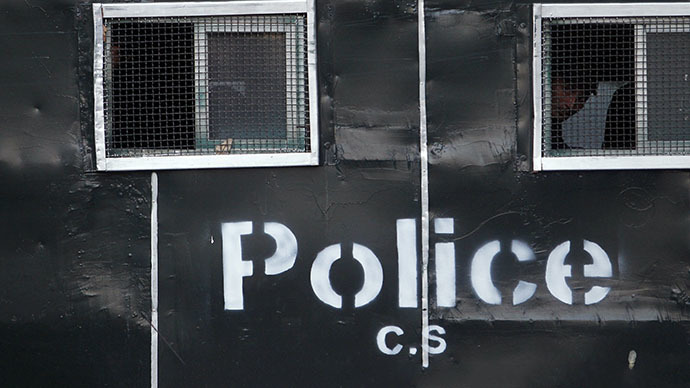 Police used force to prevent the escape of the prisoners when they began to riot. "Thirty-six of the prisoners died of suffocation and crowding after tear gas was used to stop their escape," the ministry said. 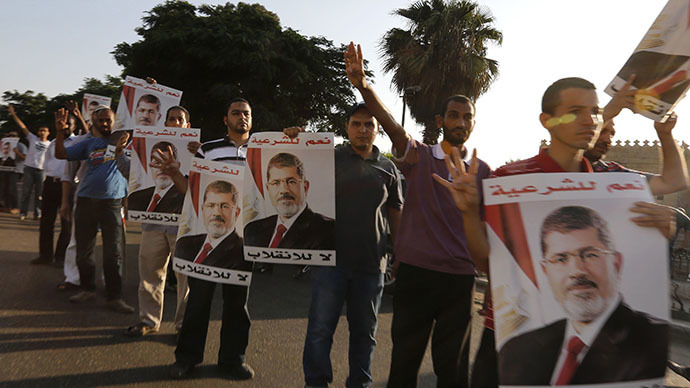 However, several different accounts of events emerged in Egyptian media, alleging the involvement of a group of gunmen who attacked the prisoner convoy. Furthermore, there were reports that a police officer was taken hostage by detainees during the melee. According to the version given by the state media on EGYNews.net and quoted by RT’s Bel Trew, a police truck transporting detainees was attacked by a group of armed men. During the incident, which was said to be taking place in a car park, a police officer was taken hostage. Officers responded by firing tear gas, and the people inside the prison truck subsequently suffocated to death. 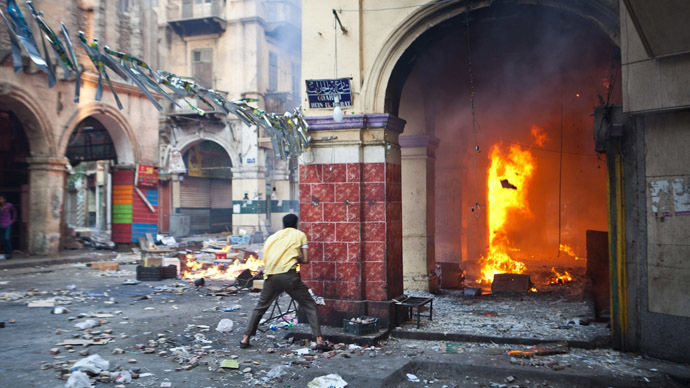 The detainees were held pending investigations into the Ramses Square clashes, the report added. Question: if armed groups opened fire at a police truck, why did police use tear gas considering they are allowed to use live ammunition? AFP cited official sources that said the men were teargassed after starting a prison mutiny, and that they were all Islamists. Reuters quoted the Interior Ministry statement as saying that a number of detainees tried to escape from a prison on the outskirts of Cairo and had taken a police officer hostage. An undisclosed number of people had died from inhaling tear gas rounds in subsequent clashes, the agency said, adding that the officer was freed but badly wounded. Al Jazeera quoted a source who said that all 38 prisoners were actually shot after taking a police officer hostage. 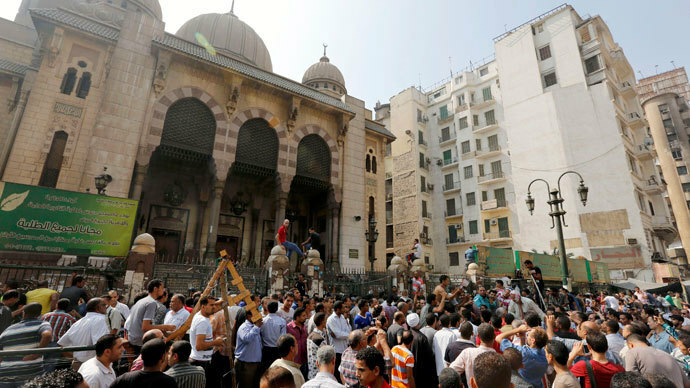 The media outlet also said the men were being transported to the Cairo prison, adding that they were all detained in the Al-Fath mosque siege. The Anti-Coup Alliance issued a statement claiming that it had "obtained evidence of the assassination of at least 38 anti-coup detainees in a truck transferring them to Abu Zaabal prison."